Flames engulfing building at MLK and Monroe. Photo from Portland Fire and Rescue. The 5 story apartment complex on the corner of Monroe and MLK was vacant and still under construction when fire broke out Thursday August 8th around 4:15 AM. 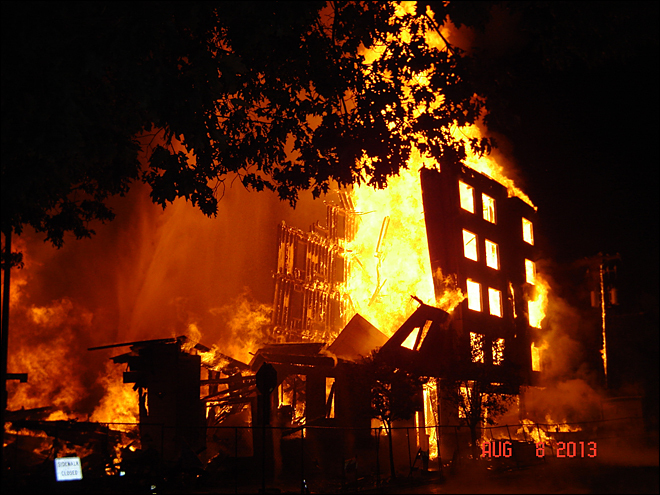 The 5 Alarm fire was considered one of the biggest in the city in recent history. Fire trucks lined a closed MLK Blvd. for several blocks as 120 firefighters doused the blaze. The under-construction apartment building was completely destroyed. A house, converted into a duplex suffered serious damage and probably cannot be saved. Another home and business south of the building was badly damaged. Nearby houses and cars had broken glass and melted plastic due to the extremely hot flames. Most neighbors in the area were woken by the some aspect of the fire. Many on Monroe were told to evacuate their homes. Neighbors have found debris from the fire that floated as far south as Hancock. 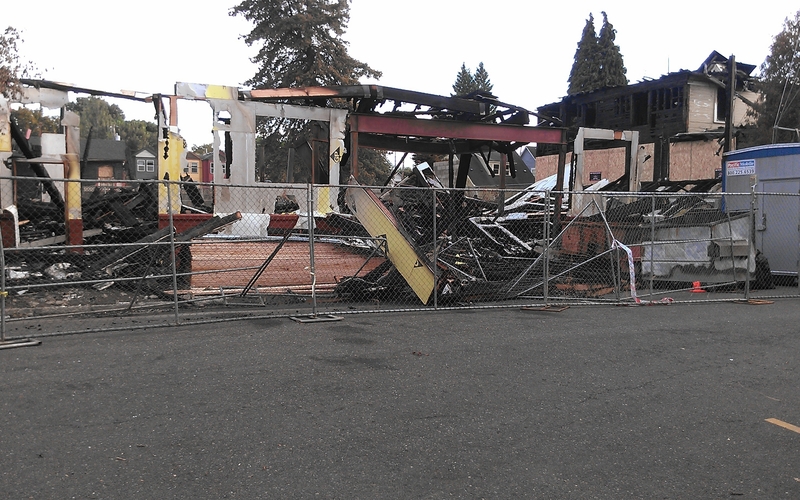 Remains of 5 story building and duplex lost to fire.